From some amazing catches, to unbelievable drops; a blinder taken by Afridi, team effort at the boundary by Shaheen Afridi and Umar Akmal, and superman catches by Denly and Walton, the fielding was impeccable. The bowling was top-notch, as expected, with the likes of Tahir’s hat-trick, Faheem Ashraf’s well-deserved best bowler award, the Shadab Review System and Shaheen Afridi’s 5/4! And lastly, Ronchi with his lethal bat, Kamran Akmal with the first century of the season, and Sammy fighting for Zalmi despite his injury. The list is endless. But the PSL is more than just a game, or a bunch of figures, to us. It has become our pride, a dream come true. It is the unity of Pakistanis, supporting their cities, supporting each other. It brings our nation together, when everything might be trying to tear us apart. It makes us rejoice one second, then cry the next. The PSL extracted emotions from deep within us, raw passion and never-ending love. Pakistanis have been deprived of home matches for what seems like an eternity; we have been starved of seeing our national team, our pride, play in front of us. 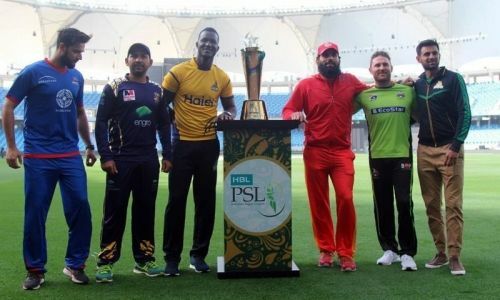 But the PSL was the catalyst in the return of international cricket to Pakistan, back in 2017, when the World XI came to Lahore to play the Independence Cup. Then this year, we saw how the stands of Qaddafi Stadium Lahore and National Stadium Karachi buzzing with the electric hum of avid cricket fans: Pakistanis who were seeing their players and international players perform on our soil after so long. A teary-eyed nation watched the teams walk out onto the field in the final in Karachi, and hearing the crowd roar with support and love. It didn’t matter that Karachi Kings weren’t in the final, because the final was in Karachi, and that was so much more than enough! Cricket was home in Karachi after nine agonizing years. The crowd showed up in numbers; the stadium came to life, electric, and ready to take back what was taken from it years ago. At the end of the day, it doesn’t actually matter which franchise wins the season, because it is inevitable that year after year, Pakistan will win. We are a nation that has so much love to give, so much happiness resonating amongst us; we are a plethora of emotions and when we unite for a common goal, we become unstoppable! All we want is to see international matches being held in our beautiful country again, players from around the globe visiting us and experiencing our culture, traditions and hospitality. We want our beautiful game to come back home for good! So we thank the Pakistan Cricket Board, Mr. Najam Sethi, the governments of Sindh and Punjab, and the players, especially the overseas players; we thank Pakistan for showing us how our resilient nation rose above its heartbreaks, and that despite all the obstacles and boundaries, we made our dreams a reality! We thank the PSL for the tears of joy, moments of complete ecstasy and our Pakistani heartbeat, overridden with emotion at the sight of the decorated streets and delighted people of Karachi and Lahore! If passion had a true form, it would be the Pakistan Super League.